A beautiful 2/3 bedroom property decorated and maintained to a high standard whilst remaining neutral and appealing. Modernised over a period of time, it is perfect as a residence to occupy immediately or to let as a holiday home. The property compromises an entrance hall, leading to a living room with large moveable picture windows to the conservatory. The fitted kitchen with water purification system has built in dishwasher, ovens and ample storage cupboards. Through the living room is an office area which leads to the hallway to the 2 double bedrooms, one with en-suite shower room & toilet. In addition to this you can access the bathroom and separate toilet from the hallway. The dining room located off the kitchen can be used as a 3rd bedroom, it also has sliding patio doors to gain access to the garden area. The large garage has a utility area and further ample storage along with space for parking vehicles. 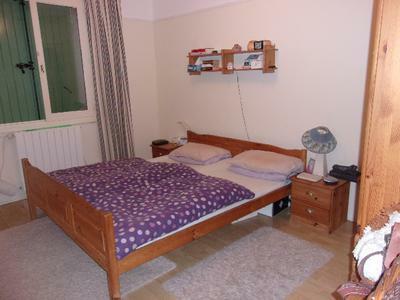 The property has central heating throughout, and a wood burner in the living room. Outside is the inviting pool (9m x 4m x 1.65m), surrounded by a large patio area with plenty of room for relaxing. The pool has a motorised retractable cover and is solar heated making it available for use for a large proportion of the year. In addition to this there is a fully enclosed, mature low maintenance garden laid to a combination of patio, gravel and lawn, with a built in water sprinkler system. There is also a brick BBQ area, making the garden perfect for outdoor entertaining for all age groups. A spacious driveway behind wooden gates allows parking for 4+ vehicles. The village has many local amenities and a thriving social community. Including a hotel, bar, restaurant, pharmacy, doctors, primary school, supermarket, weekly market. It is located in a delightful area surrounded by vineyards, fields of glorious sunflowers and rich with wildlife, with many opportunities for walking. 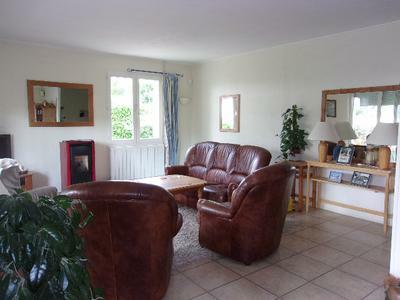 The property is within driving distance of Cognac, Angouleme, Saintes, Matha, and can be accessed by Bordeaux, Poitiers, Limoges and La Rochelle airports, all between 80-120 mins drive, and well serviced by key UK airports. Seller is open to negotiation.